Learn how to be a supple leopard thru basic maintenance on your body and live pain free. You are here: Home / Becoming a Supple Leopard Review 2nd Edition – Does the System Work? Becoming a Supple Leopard Review 2nd Edition – Does the System Work? 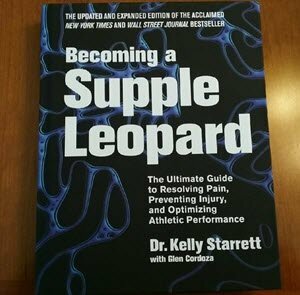 You’ve found my Becoming a Supple Leopard review from the 2nd edition hardcover book by Kelly Starrett and Glen Cordoza published by Victory Belt Publishing I purchased on Amazon. If you are looking for the Supple Leopard Audiobook you won’t find an audio format. This is a hardcover book and there is no way an audio would do it justice as there’s simply too much material to cover. I’ve read my fair share of Becoming a Supple Leopard review blurbs but this one on Amazon stuck out for me. Anyone who is willing to think, challenge what they believe, and continue growing can benefit from is book. Now here is a great question. While everybody talks about how great the Supple Leopard is, nobody really gets to the heart of why people would buy this book. Becoming a Supple Leopard is a comprehensive movement and mobility system written by Dr Kelly Starrett. 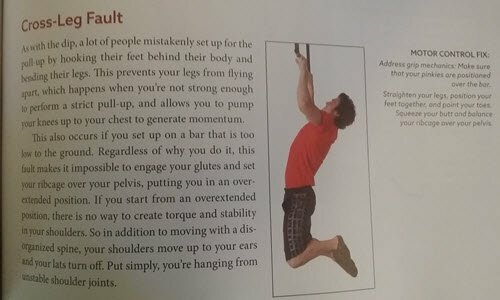 If you are curious if this book is for you, read my Becoming a Supple Leopard review and I’ll walk you thru the pros and cons of this very intriguing manual. As a traditional bodybuilder, I have some thoughts about this book and the concepts it tries to get across. When you workout for any length of time, you start to get really good at listening to your body. My body was telling me something and probably had been for a few years. I finally opted to listen and do something about it. After watching some of these videos, I put Becoming a Supple Leopard on my Amazon Wishlist. (Hint: add things to your wishlist and if you still have them in a few months, get it. Adding it gives you the gratification but allows you to think about it). I read a few of the becoming a supple leopard review blurbs and they all said the same things. Great book but sometimes too complicated or hard to follow or this wasn’t the end all be all of fitness books. I have a feeling they were talking about the 1st edition. This 2nd edition really laid things out nicely. Does the system work, or is it a waste of money? Would I be better off browsing the mobility WOD site? It’s more organized than browsing the Mobility WOD videos. The book provides his information in a structured method. Templates in the back tell you what to do and frequency depending on what body area you want to work on. If you think this is the last manual on the subject you’ll ever need to own, you really don’t understand the industry. There’s lots to learn and no manual will cover everything. The #1 complain I read most of the negative becoming a supple leopard review blurbs on Amazon that said this book was not all encompassing. It’s not meant to be. I also own the Stretching: 30th Anniversary Edition which is completely different (although you can see overlaps) and it’s on my shelf. Great reference, love the book yet I still wanted this one and have benefited from it. I own Becoming a Supple Leopard 2nd Edition and I am enjoying it. But I take it all in not from a guru perspective but more information that I can use to become a better athlete. What Kstar says makes sense but I don’t take everything he says literally and I listen to my own body signals. Pointing my toes forward with my knees out in his squat examples, just isn’t comfortable for me. I have about ~20 angle “duck stance” and a bit wider. It feels better and so that’s what I do. One, to create and teach an all encompassing movement system that stops problems before they begin by using leading indicators vs lagging and resolve the patterns that disrupt performance and lead to injury or pain. This is Tigger, the original Supple Leopard. He can perform in an instant and has full ROM without any warm ups needed. Unfortunately humans do not have this luxury but if you continue to read this Becoming a Supple Leopard Review, I think you’ll see this book is the best thing to actually becoming a better athlete. Two, to give people the tools to perform basic body maintenance so they have options for preventing, treating and resolving injuries and pain and to improve soft tissue mobility issues if any. No Tools Required But They are Fun! You don’t have to buy the stuff you see below. There’s lots of alternative options and if you are a creative person, you can easily still follow along with Kelly’s suggestions by using a number of things like a inner-tube from a bike to a tennis ball to a door jam. It might make it easier but if you are creative, you can find stuff around the house that elicits the same effects. 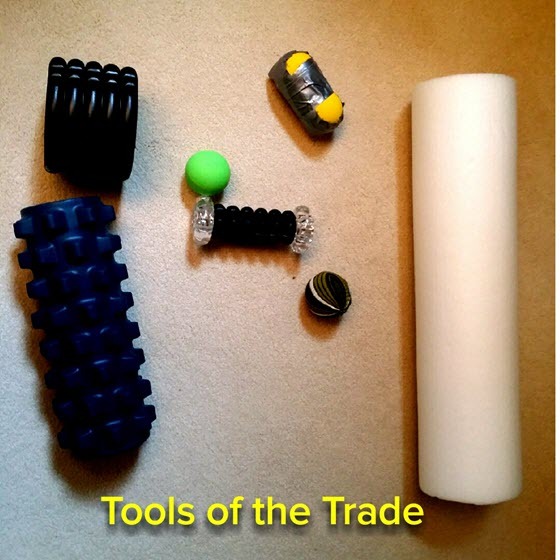 If you think you need all these tools to become supple, truth is, you do not. However, they do help and many of the suggested fixes in this book will require some type of device to release tension. You can use almost anything from a bike inner tube to a tennis ball. But if you like this stuff, this book is going to be for you. In the beginning he talks about how the idea of this book came about and what is a supple leopard. The Supple Leopard is a movement and mobility system. It isn’t a workout program or a training plan. It’s how to incorporate mobility into your daily life so you can work at peak performance when called upon. If you need to see some of these exercises, check out the mobility for CrossFit videos on this page. 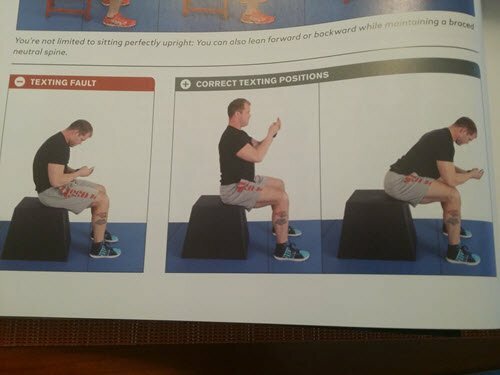 If you text while sitting around in the gym, at least learn the proper way to text while keeping your spine in alignment. My Becoming a Supple Leopard review is comprehensive enough that you’ll get a really good idea if this hardcover book is something you should invest the time and money. 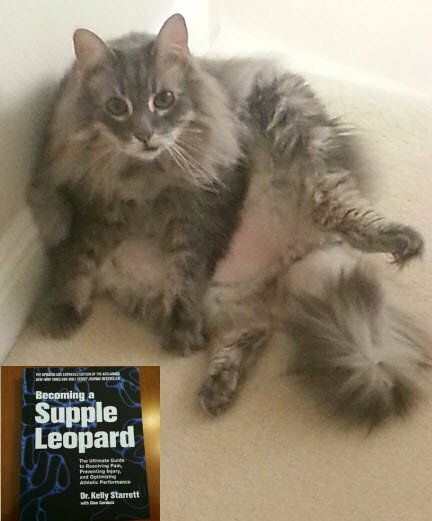 Becoming a Supple Leopard Review: What’s Covered in This Manual? Part 4 is mobility prescriptions which means, now that I’ve identified the problem you are having, here’s what we can do to troubleshoot the areas and how we can go about fixing them. Thankfully there is an Index at the end. Unfortunately for fans, I’ve yet to locate a decent Supple Leopard shirt. Crossing your legs behind you when doing a pull-up? I do and have been for years. But Kelly says this is a Cross-Leg Fault that puts everything out of alignment for the proper pull up. You will learn this and lot more. Keep reading Becoming a Supple Leopard Review and see if this is a book that can add or detract from your life. I had never really done any type of mobility drills or exercises. I had barely even begin to have anything close to what might be considered a stretching routine but I was sold of the idea that I needed to improve my mobility if I wanted to continue to live pain free and enhance my performance. I’ve had and tried various stretching routines in the past and nothing stuck. That being said, I started off with some of the mobility exercises shown in the videos. One per day and I can already tell things are less tight. I wouldn’t go so far as to say I’m a Supple Leopard but I’m well on my way to becoming a better athlete. The results, for me, have been amazing and significant on their own. I AM getting more mobile. That concludes my Becoming a Supple Leopard review.